Boki (born before 1785 – died after December 1829) was the son of Kekuamanoha, a chief of Maui (but it was rumored that he was the son of Kahekili II.) His original name was Kamaʻuleʻule; his nickname came from a variation on Boss, the name of the favorite dog of Kamehameha I. His older brother, Kalanimōkū, was prime minister and formerly Kamehameha’s most influential advisor. His aunt was the powerful Kaʻahumanu, queen regent and Kamehameha’s favorite wife. Boki married Chiefess Kuini Liliha (born 1802 – died August 25, 1839,) daughter of Ulumaheihei Hoapili (Kamehameha’s most trusted companion) and Kalilikauoha; her paternal grandfather was Kameʻeiamoku, one of Kamehameha’s four Kona Uncles and a respected advisor; her maternal grandfather was Kahekili, high chief of Maui and later of O’ahu. Boki was skilled in Hawaiian medicine, especially the treatment of wounds, as taught by the kahunas. He was considered very intelligent and a highly persuasive man. His duties as governor of Oʻahu brought him in frequent contact with foreigners. He became one of the first chiefs to be baptized. Boki agreed to the breaking of the tabus in 1819 and accepted the Protestant missionaries arriving in 1820, although he had been baptized as a Catholic aboard the French vessel of Louis de Freycinet, along with Kalanimōkū , the previous year. In 1824, Boki and Liliha were members of the entourage that accompanied Kamehameha II and Queen Kamāmalu on a diplomatic tour of the United Kingdom, visiting King George IV in 1824. Less than two months after the royal group arrived in England, the king and queen were dead from the measles; it was Boki who lead the Hawaiian delegation to meet with King George IV and receive the King’s assurances of British protection for Hawai‘i from foreign intrusion. Returning with Lord Byron on the Blonde, Boki brought to Hawaiʻi an English planter, John Wilkinson, and with him began raising sugar cane and coffee beans in Mānoa Valley. Boki also encouraged the Hawaiians to gather sandalwood for trade, ran a mercantile and shipping business, and opened a liquor store called the Blonde Hotel. In the late-1820s, Boki came into conflict with Kuhina Nui (Premier) Ka‘ahumanu when he resisted the new laws that were passed, and did not enforce them. 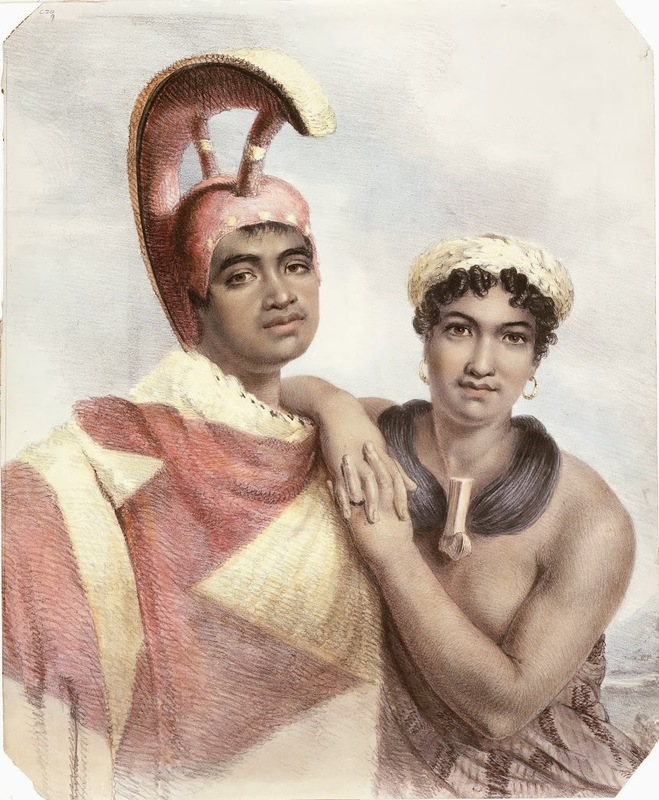 In May of 1827, Ka‘ahumanu and the Council charged Boki with intemperance, fornication, adultery and misconduct, and fined him and his wife Liliha. These lands had first been given to Kameʻeiamoku, a faithful chief serving under Kamehameha, following Kamehameha’s conquest of Oʻahu in 1795. At Kameʻeiamoku’s death in 1802, the land transferred to his son Hoapili, who resided there from 1804 to 1811. Hoapili passed the property to his daughter Kuini Liliha. The Binghams oversaw the early development of the land and Mrs. Bingham planted the first night blooming cereus, now a symbol of Punahou. The Binghams left Hawaii in 1840, before Punahou School became a reality. Somewhere in the Fiji group, the ships separated. Eight months later the Becket limped back to Honolulu with only twenty survivors aboard. Boki and two hundred and fifty of his men apparently died at sea when the Kamehameha burned, possibly when gunpowder stored in the hold blew up as a result of careless smoking. The image shows Boki and Liliha, drawn when they were in London in 1824. In addition, I have added other related images in a folder of like name in the Photos section on my Facebook and Google+ pages.